Remove and discard the brake cylinder dust seals (1). Remove the brake cylinder pistons (1) and spring (2). Remove and discard the brake cylinder piston seals. Inspect the brake cylinder bore for excessive corrosion, scoring, nicks, and pitting. 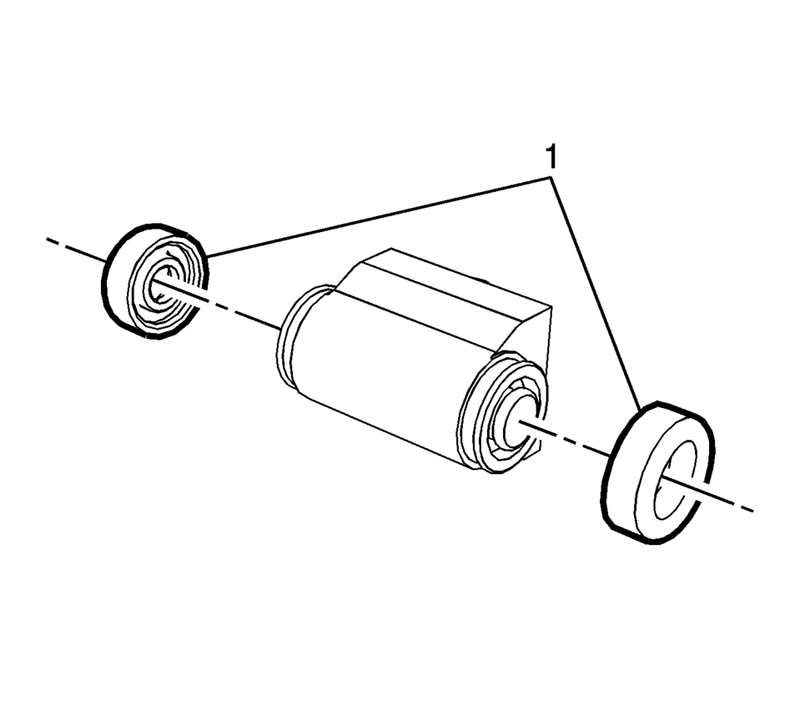 If the brake cylinder bore exhibits the above conditions, the brake cylinder assembly requires replacement. Remove light corrosion in the cylinder bore with a fine crocus cloth. Thoroughly clean the brake cylinder and pistons with denatured alcohol and dry with filtered, non-lubricated compressed air. Lightly lubricate the new piston seals and brake cylinder bore with GM approved brake fluid from a clean, sealed, brake fluid container. Assemble the new piston seals with the lip of the seals facing inward to the brake cylinder pistons. 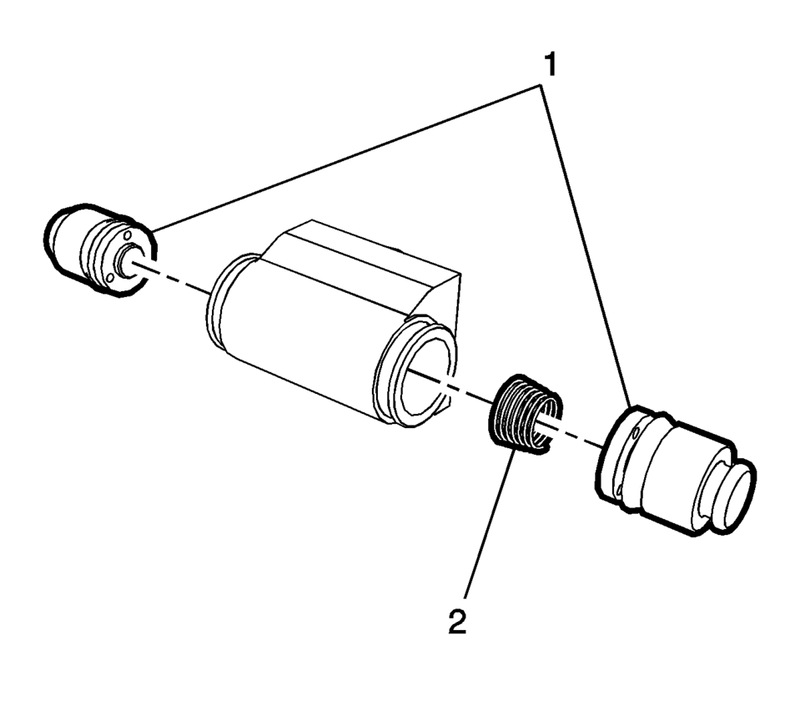 Install the brake cylinder pistons (1) and spring (2) into the brake cylinder bore. Do not lubricate the brake cylinder dust seals. Install the new brake cylinder dust seals (1).